Having a pet reduces negative thoughts and makes the patient take care of them again. Pets are more than just furry companies. They can be very important for improving health, as in the case of those who are depressed. The presence of pets is very important because it stimulates the owner to move and overcome bad moments. Depression, also called Primary Depressive Disorder, is a mental disorder characterized by loss or diminished interest in life activities and pleasures, which significantly interferes with daily life. This problem results in deep sadness and lethargy, often for no apparent reason. This is caused by imbalances in the biochemistry of the brain, such as reduced supply of serotonin, a neurotransmitter associated with feelings of well-being. Some researchers report that CBD treats helped in some situations. For a long time depression was not considered a disease. Many believe that losing this interest is fast and excessive on the part of the person. But its seriousness now proves to be the main cause of the fourth disability, according to the World Health Organization. Psychiatric disorders attack all types of people, of all ages – although it is more common in women. This disease is so severe that it can cause a variety of physical symptoms and abnormal behavior, such as changes in sleep, appetite, concentration, self-esteem, energy levels and, in more serious cases, suicidal thoughts. Depression must be dealt with with the help of psychotherapists and drugs. Gradually the person will improve and return to his desire to live. Therapy may have better results with the presence and assistance of pets. But what if our pets are depressed? Depression is more common in puppies. To find out if your puppy is suffering from depression, you need to pay attention to your behavior and try to find out what causes dog depression. Watch if he is very anxious, stressed or sad. When a disease diagnosis is made, the dog can be treated and depressive symptoms are similar to those of a person. Usually depression occurs in companion dogs. Regardless of race, these dogs are emotionally dependent on the owner. Any changes in family routines can cause depression in your dog. But other reasons can trigger depression, such as general stress, trauma, and others listed below. My article about this disease refers to the research that I did in books by experts about depression and dog behavior, such as Coroline Coile and Cesar Millan, and my own experience with Meg, a beautiful brace. After reading a lot, I realized that most of the symptoms of depression occur because of family habits. Me, my husband and two children must have a lot of love to understand their behavior, and finally, change our habits, especially home routines … right, those who don’t want the routine to be modified by an animal, because it’s funny Funny is your animal care. Dogs, when not understood, also tend to suffer from depression. My opinion: If you can’t understand the physiological and psychological needs of a dog or other animal, then don’t have it. Anyone who wants to have friends or who already have, needs to understand that dogs also have feelings and needs. You cannot have a personal satisfaction display for pets, you must understand that you will be a family member. What can cause depression in dogs? – Death of a family member, especially if it is the person who cares the most. – Death of other animals that live with him. – The arrival of new animals at home or new members in the family, sometimes the arrival of a baby for example, because attention will be directed to the baby, puppies will feel isolated if they do not get family attention. – Violence and ill-treatment, especially in training. – Household accidents or even trampling. – Don’t walk around with him often. – Changes in the environment. If you live in a house with a yard and now need to go to a smaller place or apartment, it will feel trapped, because there is no room for activities and natural play. Now we arrive at the most important part, treating depressed dogs. It is your awareness that you will make your dog a healthier, happier, and less developed animal. If you don’t take care of your dog, it can cause stress and even internal ailments. Older dogs are more likely to experience depression, but this is not a rule because you treat your old dog properly, it will prevent many common diseases in dogs. Although it’s hard to get out regularly with pets because of racing routines, it’s important to at least try. If you do not have the time available, you can rent a dog walker. There are currently applications and websites that work with these professionals and offer safe and reliable services. You might be able to involve several games with your dog. 3. Why not use CBD? As an alternative method, the use of products with CBD for pets has been recognized: oil, infusion, fillings. 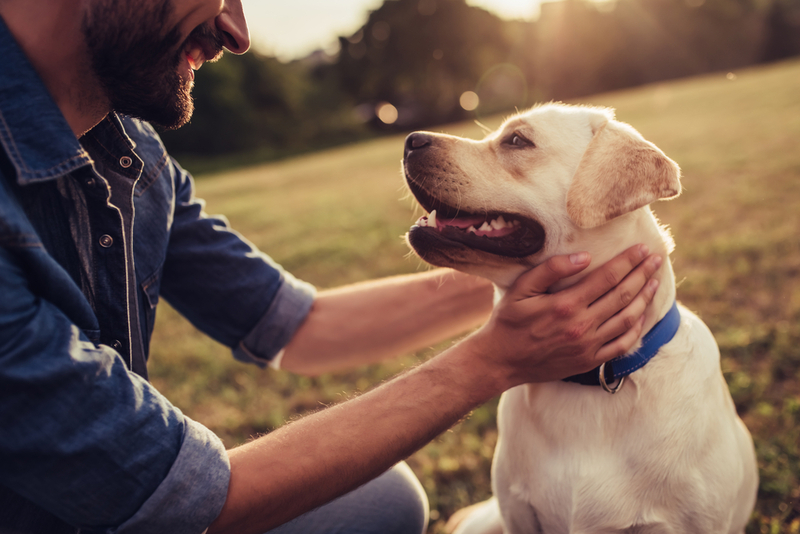 The effects of these products are recognized for anxiety and according to its users, cannabidiol has a positive impact on dogs and other pets suffering from depression. The joy and support of some good elements such as the CBD is key to treating depression in dogs and other pets.